Glasser, Robin Preiss. Very Good. 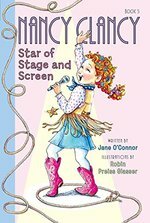 Includes an excerpt from another chapter book in the series entitled 'Nancy Clancy, soccer mania. ' Trade paperback (US). Glued binding. 144 p. Contains: Illustrations. Nancy Clancy, 5. Intended for a juvenile audience. Glasser, Robin Preiss. Good. 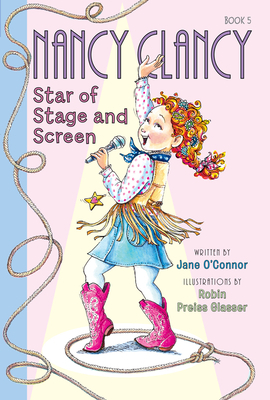 Fancy Nancy: Nancy Clancy, Star of Stage and Screen by O'Connor, Jane, 2016-03-10. Trade paperback (US). Glued binding. 144 p. Contains: Illustrations. Nancy Clancy, 5. Intended for a juvenile audience. Glasser, Robin Preiss. Very Good. Sewn binding. Cloth over boards. 128 p. Contains: Illustrations. Fancy Nancy. Intended for a juvenile audience. It's Nancy's time to shine as she takes center stage in the school play. There's no way she will get stuck again in the chorus. When she gets a call-back, she's overwhelmed with joy, but after her performance ends up on YouTube and her stardom goes viral, will humiliation rule? Glasser, Robin Preiss. Good. Sewn binding. Cloth over boards. 128 p. Contains: Illustrations. Fancy Nancy. Intended for a juvenile audience. It's Nancy's time to shine as she takes center stage in the school play. There's no way she will get stuck again in the chorus. When she gets a call-back, she's overwhelmed with joy, but after her performance ends up on YouTube and her stardom goes viral, will humiliation rule?